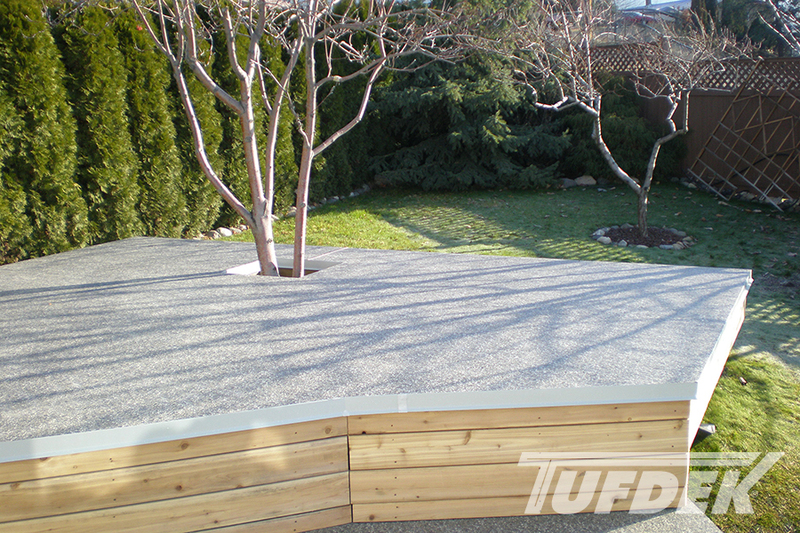 It’s probably something you’ve never thought of – you have a beautiful new or refitted vinyl deck or patio to enjoy – who cares what’s underneath it? You will, of course, as the space under vinyl decks can become a haven for all kinds of critters, so you’ll want to think about closing it in. Likewise, without an enclosure you might also have the hassle of leaves and other debris blowing under your deck or patio, rotting, and causing issues down the road. So what’s the best method for enclosing the space under your vinyl deck? 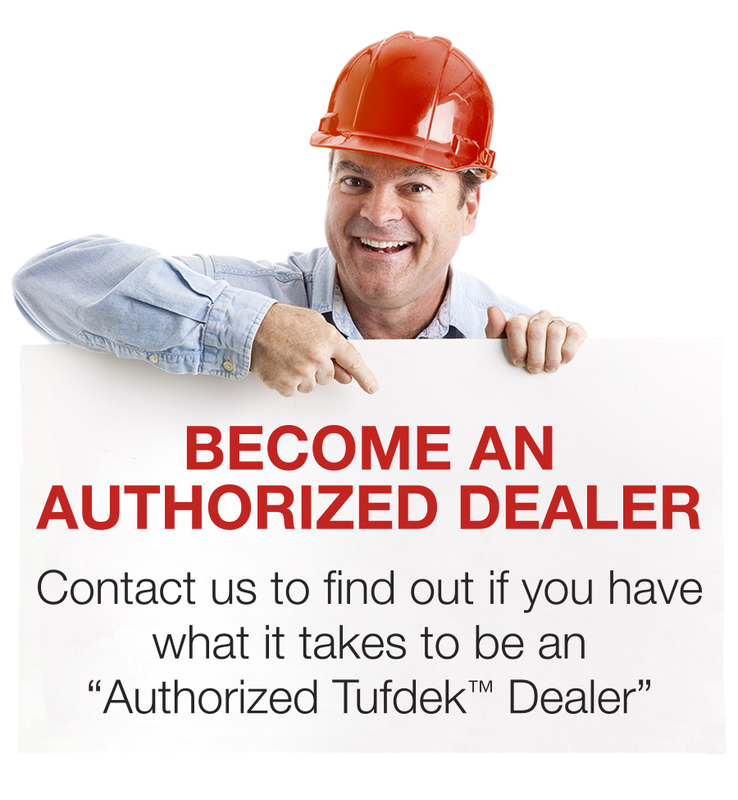 Tuff Industries will help you explore a few options. If you would like to completely seal off your under-deck space, then this is the ticket. However, don’t forget about the importance of allowing air flow under your deck to help wet areas dry without the risk of mold or mildew developing under your vinyl deck surface or within the substructure. Ideally, find a vinyl deck skirting option that matches your house color or railing, so it doesn’t stand out too much. Skirting is perfect for deck spaces that are less than 24” – if your deck space is taller you might need to look at other options. This is a good custom option if you want to match a specific colour of your home or trim, and allows you to decide on a design. All you need is wood or composite and some paint or stain. The boards can be installed at any angle you choose to cover the space, and then painted to match your home or to stand out. You’ll still need to consider ventilation so wet areas can dry out. Keep in mind that this option means you may need to repaint/stain down the road. This option provides the perfect solution – it’s functional and looks great. The gaps in the lattice are small enough that they will keep out almost all animal activity and encourage ventilation. You can combine this concept with using the space under your deck as well – just install a gate or door. Wood or vinyl lattice is readily available at home improvement stores, or you can make your own wood lattice and save some money. Of course, vinyl lattice will last longer and require very little maintenance – just a spray with a hose once in a while to keep it clean. Look for diamond-shaped lattice designs, they tend to be a little more visually interesting than their square counterparts. With the help of a qualified contractor, you can create a fully-livable space under your vinyl deck. 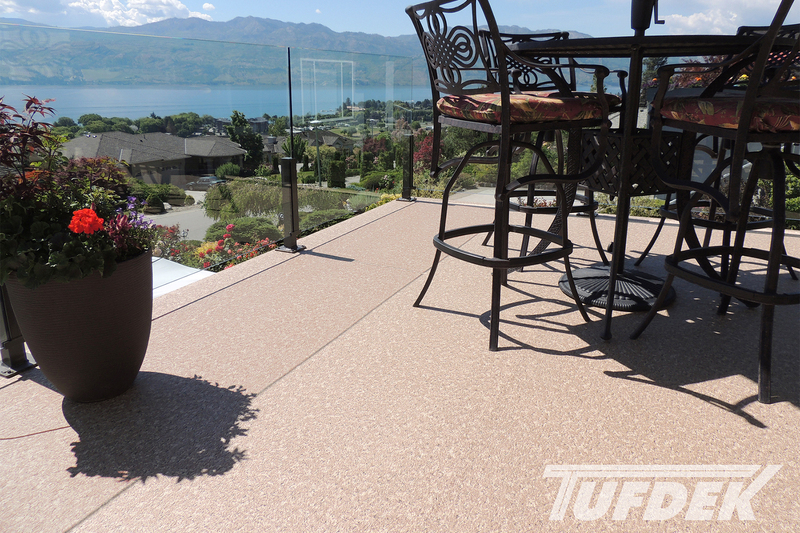 Because Tufdek products are made to the same exacting standards as roofing products, they make for a perfect waterproof deck surface to keep the space underneath clean and dry – so you can create a games room, garage, or other living space below. Before installing an enclosure onto your vinyl deck, you might want to grab a flashlight and have a quick look at the underside to ensure that your deck is in good order. If you see anything unusual, consider having a Tufdek vinyl deck expert take a look before you close everything off for good.